I have been skating since I was eight years old, and I started competing in international competitions when I was thirteen. 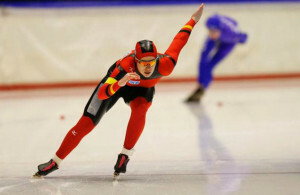 After a break, due to my studies in central Germany, I decided to focus on sports again and to train for qualifying for the Winter Olympics in 2018. To reach this goal, I am training twice a day, and about 20 hours a week. 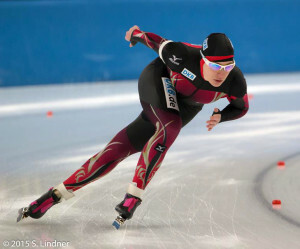 I am one of Germany’s top-athletes in speedskating and competed in several international competitions such as European Championships, World Championships, and World Cups. After my recovery from a knee-injury in 2012, I started training again and qualified for my first senior World Cup in 2014. Below you can find my personal records and results, some videos, and a list of links to additional information. These are a couple of videos showing some of the competitions that I participated in. The first shows my first World Cup race in 2013/2014. The second is a personal video of my 500 meter Junior World Cup victory in 2009 in Inzell.